South America may be a distant memory, but the travels continue, albeit in a piecemeal way. A bit different to my solo budget backpacking, this latest trip was a luxury stay in a spa hotel with my mum. 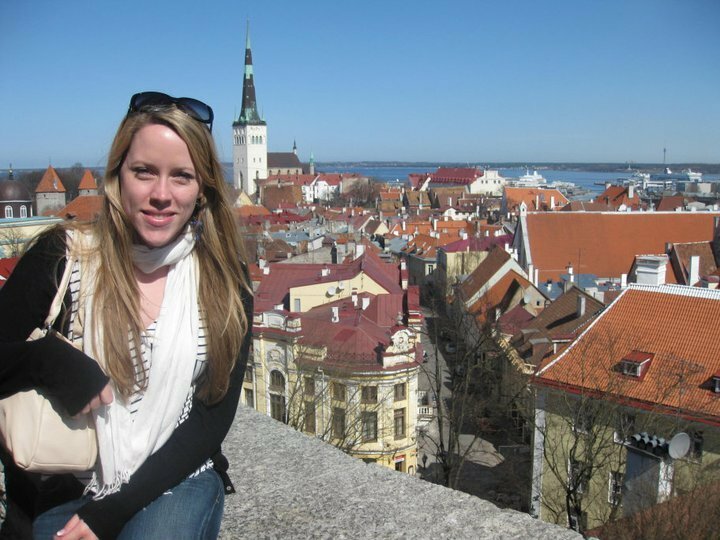 The Baltic States have long been on my list of countries to visit, and I had a romantic idea of driving through the three countries some day. 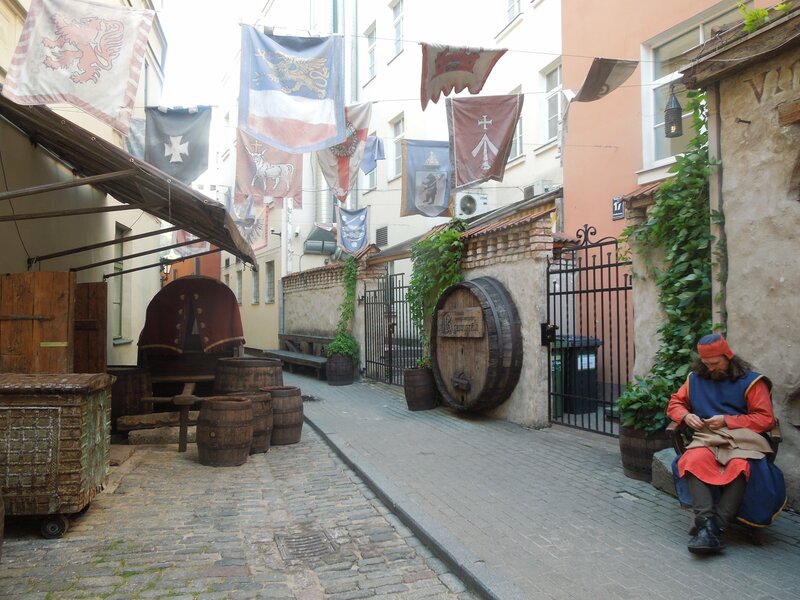 A couple of years back, though, my friend and I visited Tallinn, the capital of Estonia, on a day trip with the ferry from Helsinki. We were incredibly lucky with the weather, with an unusual bout of sunshine over the Easter weekend. 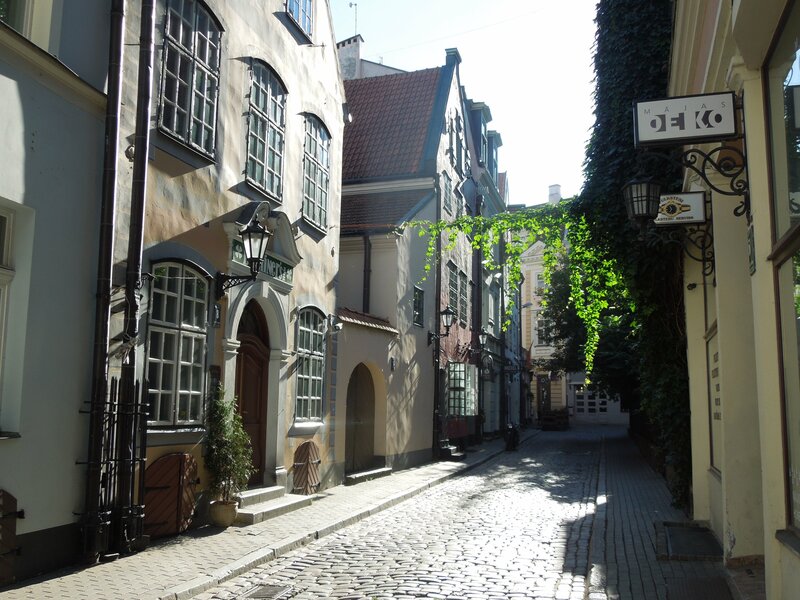 The Old Town was a lovely place to wander, with colourful old houses and cute little cafés. 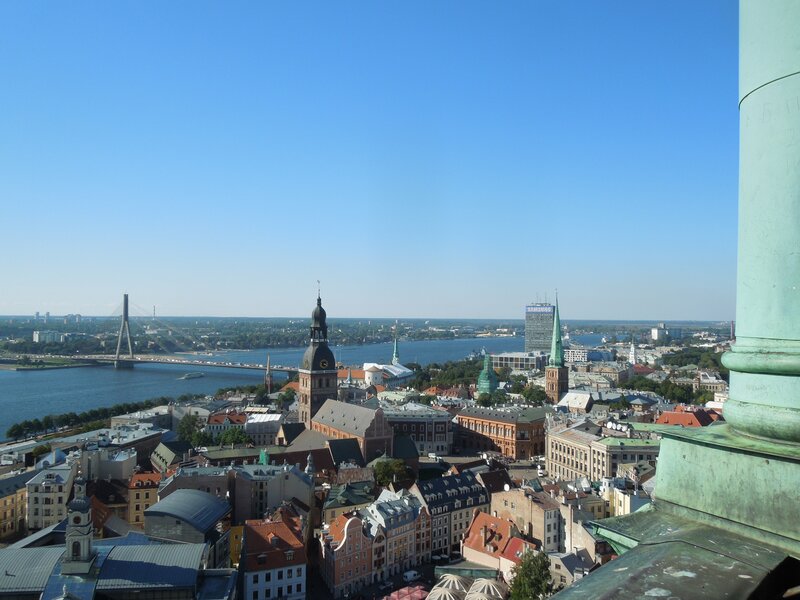 This time, my mum and I chose Riga as the setting for a relaxing few days largely based on the price of a return flight from London. It seemed bigger than Tallinn and, in fact, it’s the largest city of the Baltic States. We’ve again been incredibly lucky with the weather and had a few days of fabulous sunshine – to the point that I’ve managed to top up my South American tan after losing a lot of colour during my first month back in Geneva. 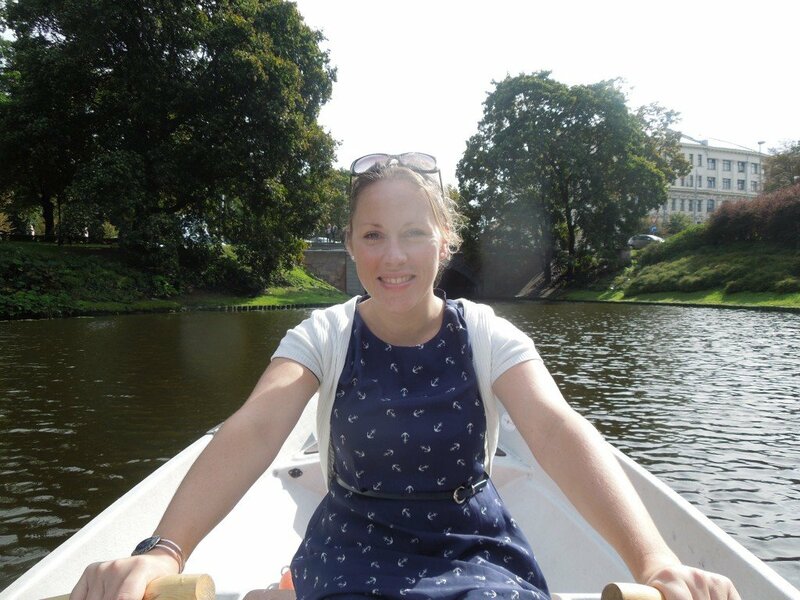 The highlights, then, have been those moments sitting in the sun as we went from terrace to terrace drinking our morning coffee, eating lunch, drinking afternoon coffee, and finally having dinner; rowing up and down the canal and, one day, taking a motorised boat all the way around the canal and out into the Daugava River; and just wandering the streets of the Old Town, letting the rays of the sun guide us as to the direction in which we would walk. Our quest for sunshine meant that we didn’t go to any of the museums, which would otherwise have been interesting, say if it had been raining. We did see some outdoor sights, though! 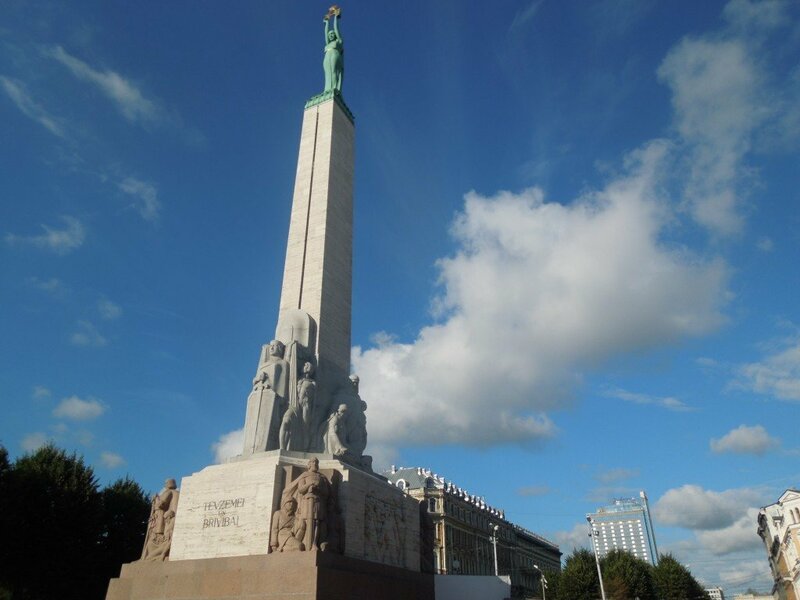 The Freedom Monument is a memorial for the soldiers killed during the Latvian War of Independence (1918-1920). 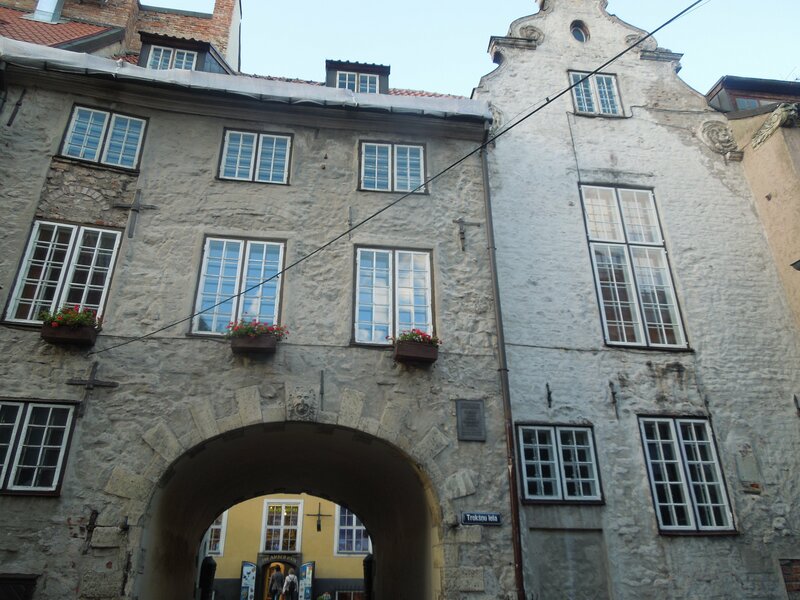 The Swedish Gate, of particular interest to us of course, was built in 1698 to celebrate Sweden’s occupation of Riga. Down by the river, Big Christopher stands as a symbol of the founding myth of Riga: he would wade across the river, carrying people from one side to the other. One day, he found a baby and carried him over the river; the next morning, there was a pot of gold where the child had been and it was with this money that he founded the city of Riga. 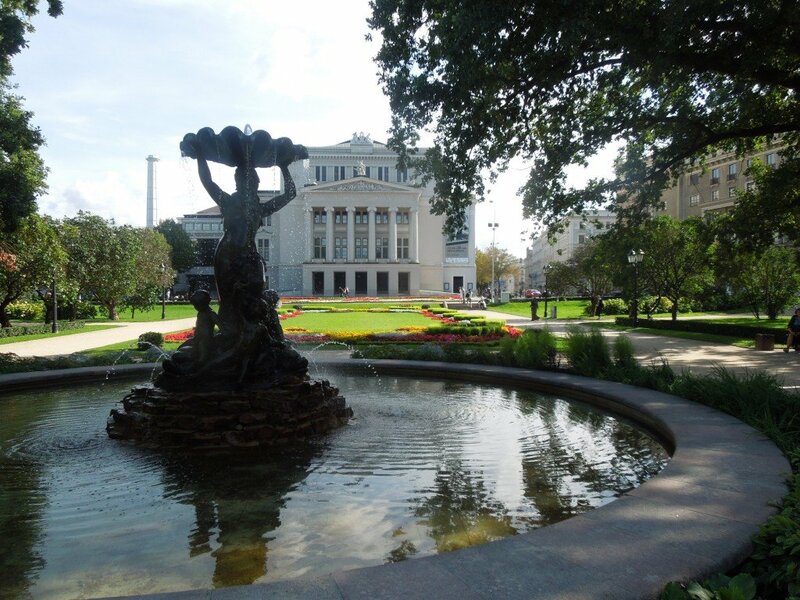 Riga also has a lot of art nouveau architecture and this is concentrated in some parts in particular, including an area behind our hotel where we found the British and Swedish embassies. This is where we found our favourite restaurant for dinner, Rossini, where we could sit outdoors on our last two evenings. The Old Town is another UNESCO site, small but full of interesting medieval architecture. The German influence is palpable, from the time that Latvia was part of the Hanseatic League. You can take the lift up into the tower of the Gothic St Peter’s Church, destroyed many times in various fires and battles and eventually “pessimistically” rebuilt in metal instead of wood. There we met an elderly Swedish couple who had taken the overnight ferry from Stockholm, arriving in Riga at 10am and exploring the city until 4pm when the ferry would return. 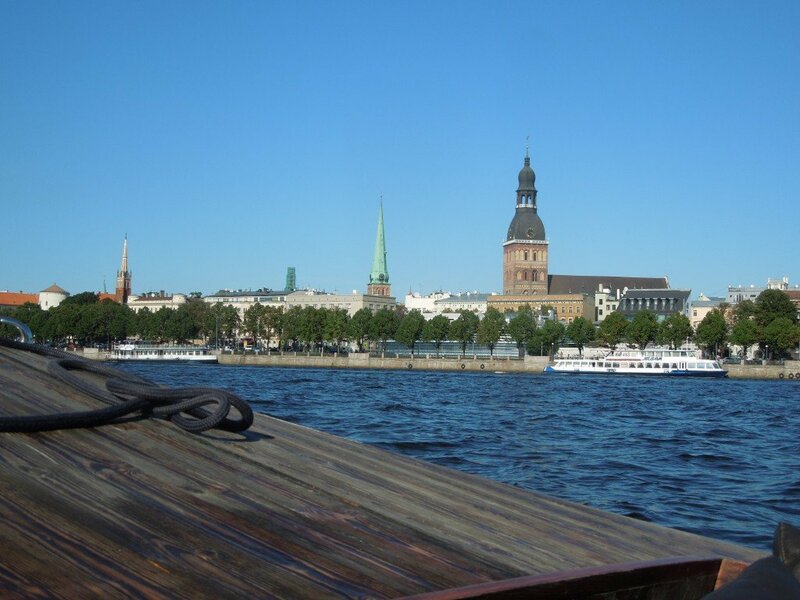 Quite a convenient way to travel, although a bit limiting in terms of the time available to get to know Riga. Latvia was occupied in 1940 by the Soviet Union under the Molotov-Ribbentrop Pact with Nazi Germany. By July 1941, they were already occupied by Nazi Germany. Then a longer period of Soviet occupation followed from 1944 to 1991, when independence and international recognition was finally achieved. (An impressive demonstration had been organised on 23rd August 1989 when around two million people held hands to form a human chain across the three Baltic states to highlight the common fate that the three countries had suffered.) The Museum of the Occupation of Latvia, which we unfortunately didn’t visit, tells the story of the foreign occupation from 1940 through to 1991. Today, Russians naturally make up the largest ethnic minority in the country. Latvia has since joined the European Union in 2004 along with its two neighbours, and in 2014 it will give up its local currency of Lats and introduce the Euro. The Latvian language is related to Lithuanian (though the two languages are not mutually understood as is the case with Norwegian and Swedish, for example), while Estonian is instead of the Uralic family along with Finnish and Hungarian. I’m ashamed to say that I hadn’t learned a single word of the local language before coming – even my ambitious language learning goals don’t stretch to fluent Latvian, but I would have liked to at least be able to attempt the basics: “Hello”, “Thank you”, “Goodbye”… especially since our Nordic looks made us blend into the local population so that people would almost always address us in Latvian. How much is this? – Cik tas maksā? Where is the toilet? – Kur ir tualete? Do you speak English? – Vai Jūs runājat angliski? Finally, a billboard at the airport told us, “You haven’t been to Riga if you haven’t tasted Black Balsam”. Black Balsam is a herbal liqueur which, I’m afraid, we did not taste while in Riga; but I bought a small bottle at the duty free counter and we will dutifully taste it as soon as possible so as to ensure the authenticity of our visit to Riga (since adverts never lie).